One stormy and formidable evening, all fashion houses gathered from far and wide to collectively (and lovingly, don't get me wrong) grab a machete and chop the traditional year calendar into countless new "seasons." 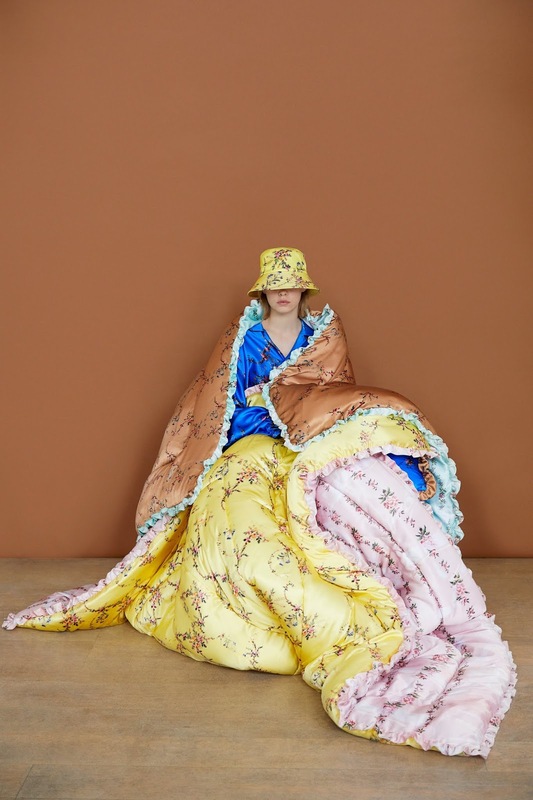 Of all the fragmented machete debris, couture season is supposed to be the gem in the crown: in a different way than Ready to Wear or Resort, couture stands synonymous with glamour and drama while drawing a clear connection between fashion and art. So can someone please explain why Fall 2018 Couture collections felt so boring? 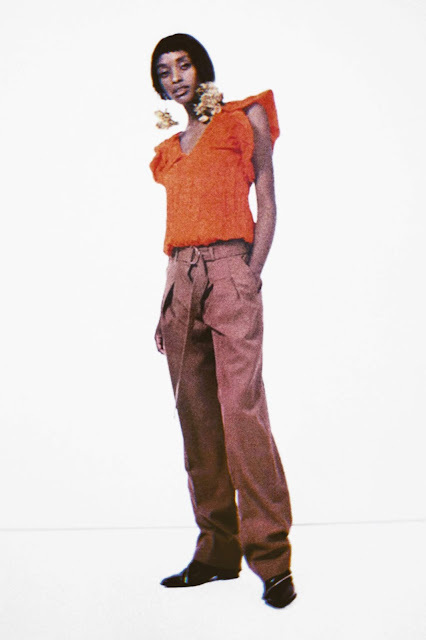 Maybe the endless amount of content thrown at consumers through ultra-modern platforms like Instagram is resulting in an overstimulation that makes it almost impossible for anything to feel new and exciting anymore, but I've found myself more jittery scrolling through Ready to Wear collections than couture pieces specifically tailored towards wow factor. Everybody always wants a good photo of the back of their dress (the over-the-shoulder pose) or the front (obviously) but "Yessss, get that side shot!" is a phrase that feels suddenly fun and desirable to me. The side of a person (or outfit) just seems like something we don't pay enough attention to, and the idea that the side could be the main attraction of the look is game changing for both photo posing and garment designing. All Chanel's models were posing to the side, which would normally be an obstruction to a good #lewk photo, but in this case, the side was the look. I've developed a fetish for dangling seafood from my ears and I'd like to give you an update on the experience from the peak of obsession stage. Chiefly, I've learned that all sea animals look good in bead or jewel form mixed with gold or silver metal. It's just a universally flattering depiction of them, like how confidence is universally flattering on every human. 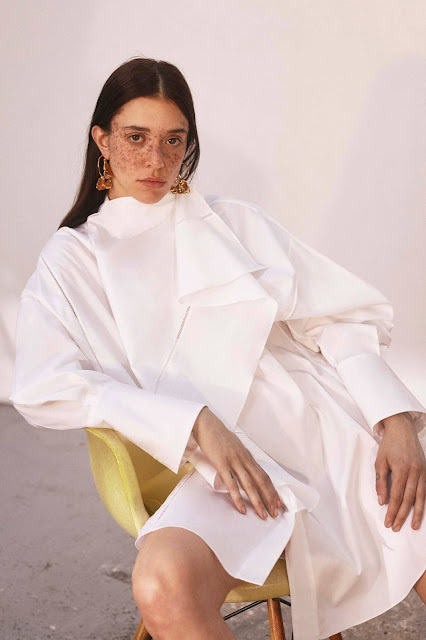 My new favorite baby in the family that already includes lobster earrings and shrimp necklace charms are oyster-like ear candy, seen below in Ellery Resort 2019 and Victoria Victoria Beckham Resort 2019. Jaquemus's Fall 2018 show introduced me to this concept and I nearly jumped for joy when I saw it continued in this season's Alexandre Vauthier, Stella McCartney, and Aalto collections. Earrings should be sisters, not twins, right? I acknowledge that sleep is more of a concept rather than a detail, but I'm throwing this one in simply because it validates, although ever so slightly, my tendency to sleep through every alarm I've ever set on my phone. 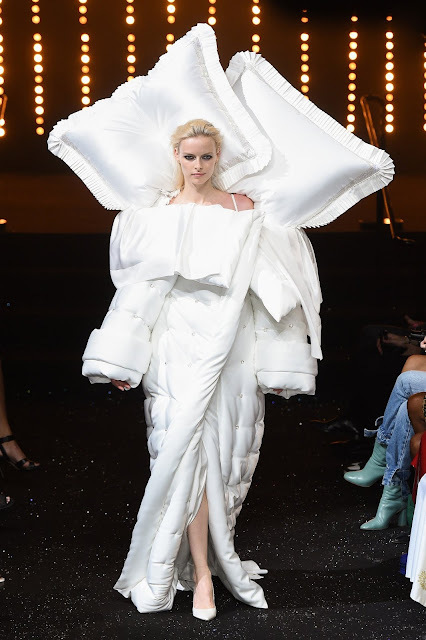 Maybe, someway or somehow, my magnetic attachment to my bed is a sign that my body's natural tendencies are in sync with my aspirations to enter the fashion industry. I think that might have been my most creative approach yet in explaining away my own shortcomings, and I'm not proud of it.